Satunuku (Shungo) became a student of Takahara who nicknamed him “Tode,” which means Karate. His father having been beaten to death by bandits the young man decided to become a master of the martial arts. He immersed himself in the study of the fighting arts; traveling to China he studied the ancient Chinese art of Ch’uan fa. Upon Takehara’s deathbed he received his blessing to train with Kusanku. There is a story that says that while standing on a bridge over the water Sakugawa tried to sneak up on Kusanku and push him over, Kusanku suddenly grabbed Sakugawa's wrist and said, “When you came to me it was to teach you not only How but also Why in martial arts.” Sakugawa having followed Kusanku to China remained there for six years. It is believed that he also studied the Okinawa Bubishi. 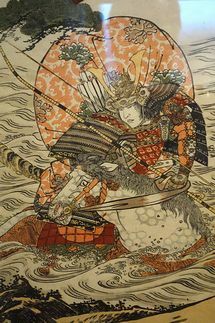 When he returned to Okinawa he was given the title Satunuku.